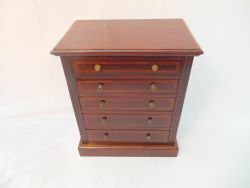 Fine quality mahogany Georgian miniature chest, made circa 1820, inlaid and edged with boxwood, 4 lockable drawers and key, original handles, standing on splayed feet. It was made as either a salesman's sample or an apprentice piece, it has just been refreshed in our workshop and so is in excellent condition. 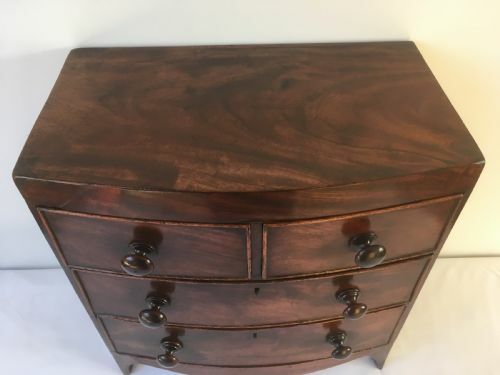 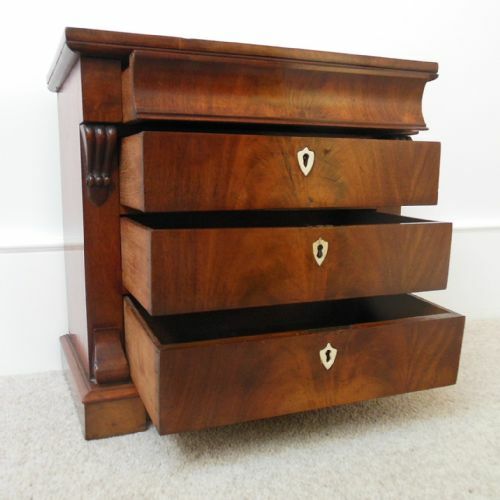 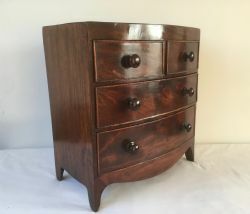 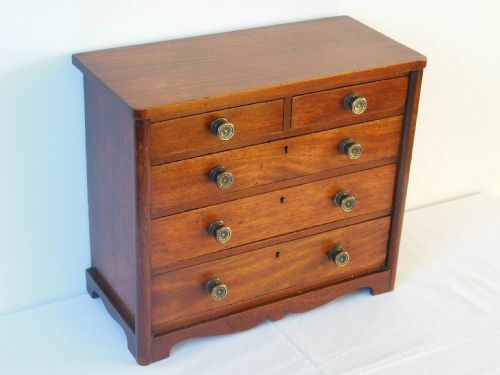 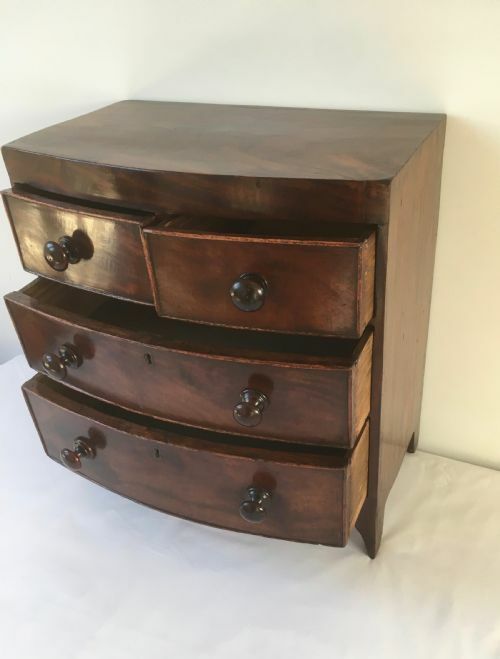 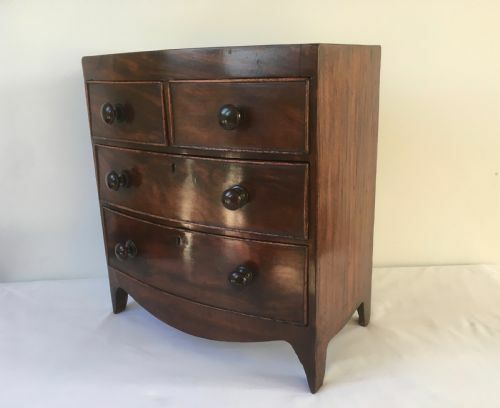 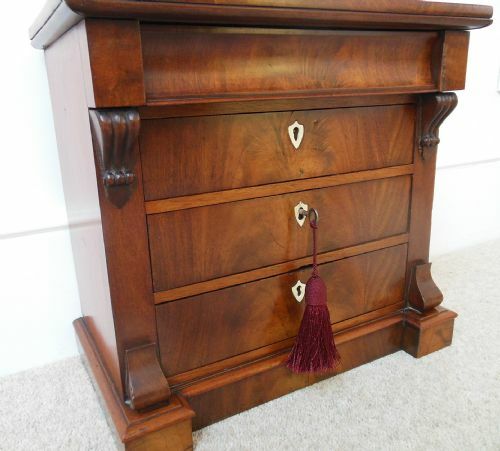 Beautifully made late Georgian mahogany chest of drawers with two short drawers and two long, turned handles, bow fronted and standing on splayed feet. 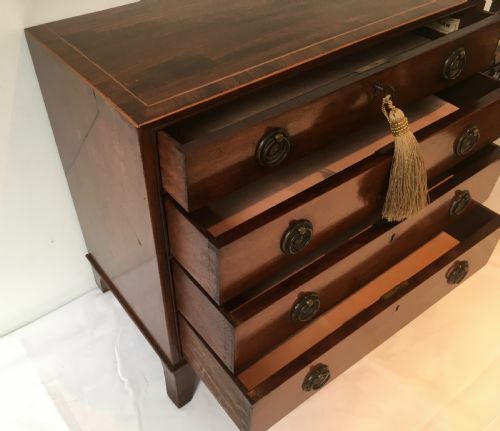 This is an elegant piece, in excellent condition that could be used on top of a full size chest as a Jewellery or trinket box. 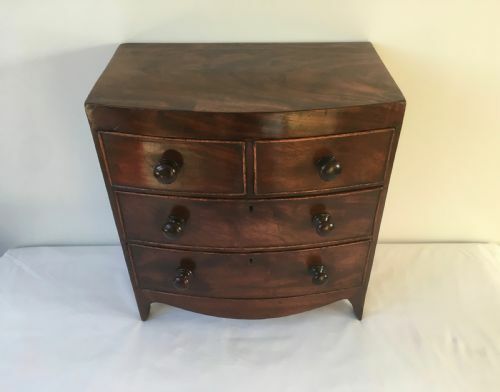 It was originally a salesman's sample or an apprentice piece. 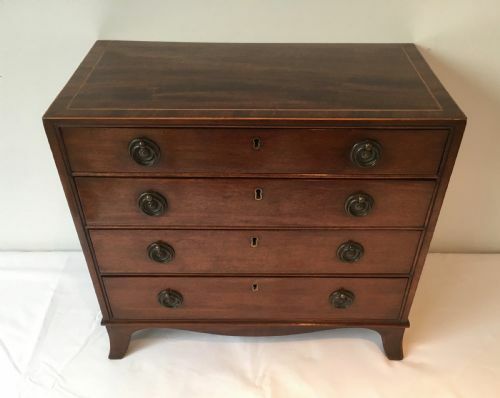 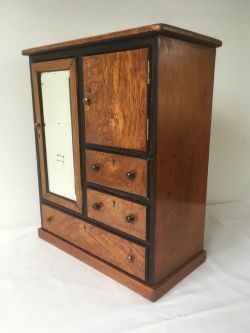 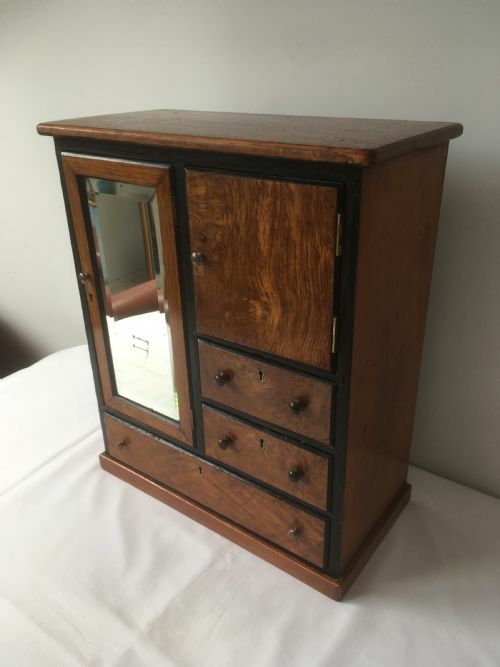 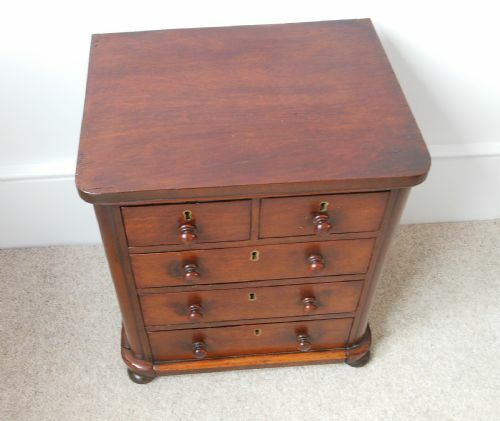 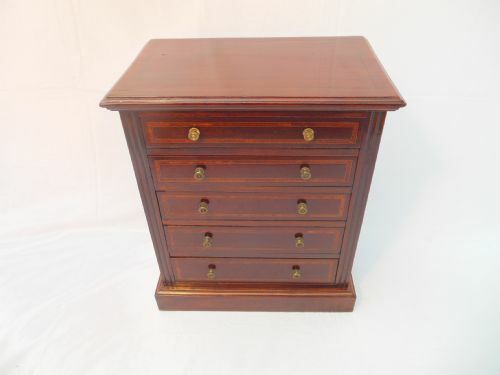 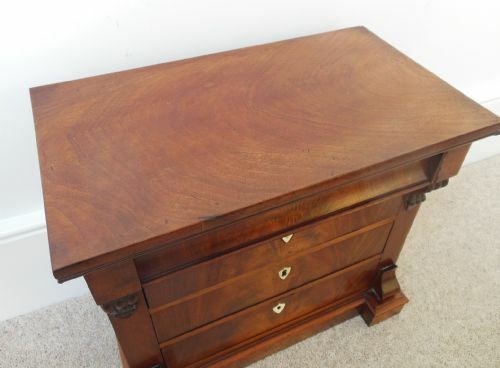 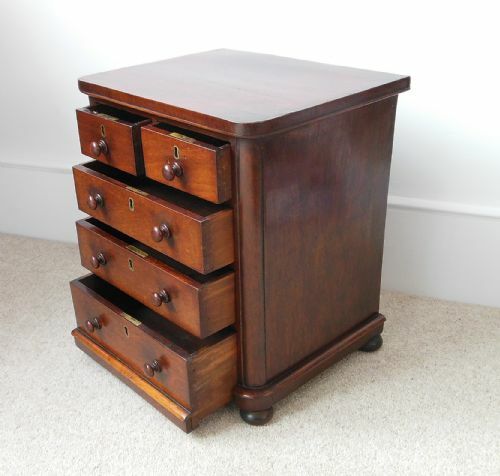 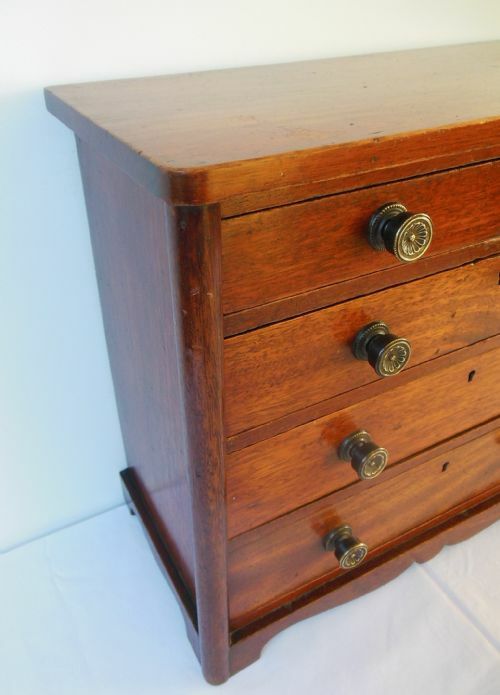 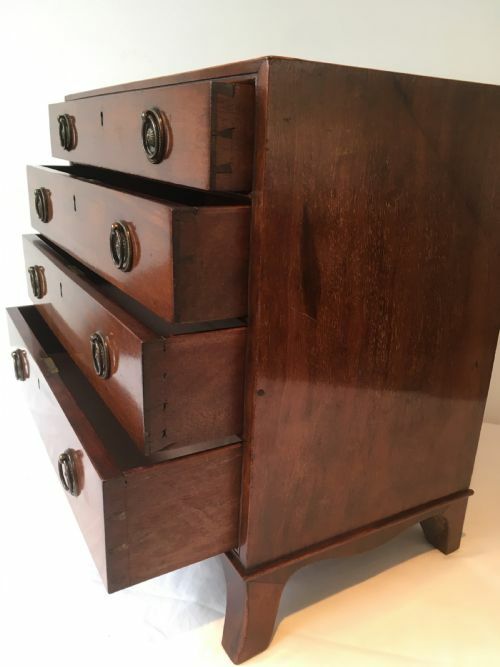 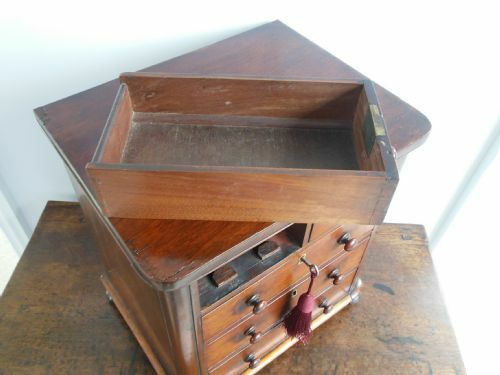 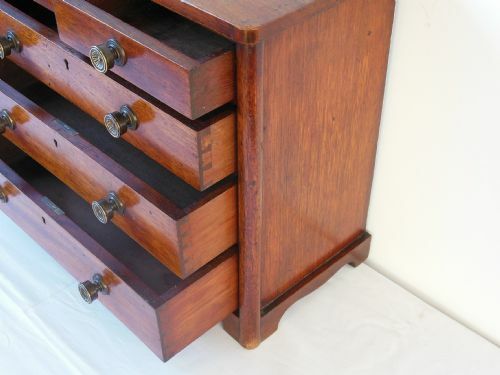 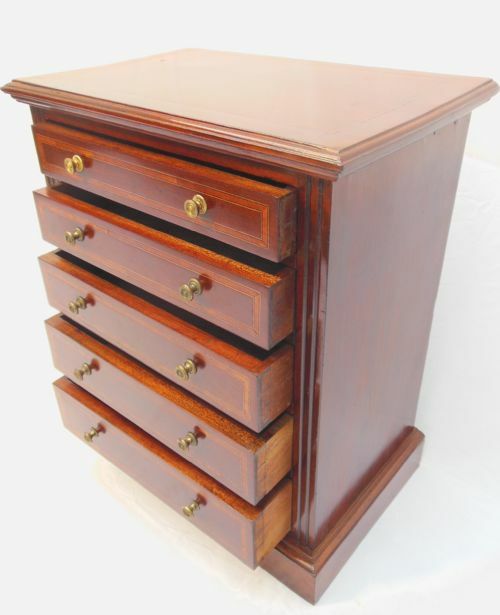 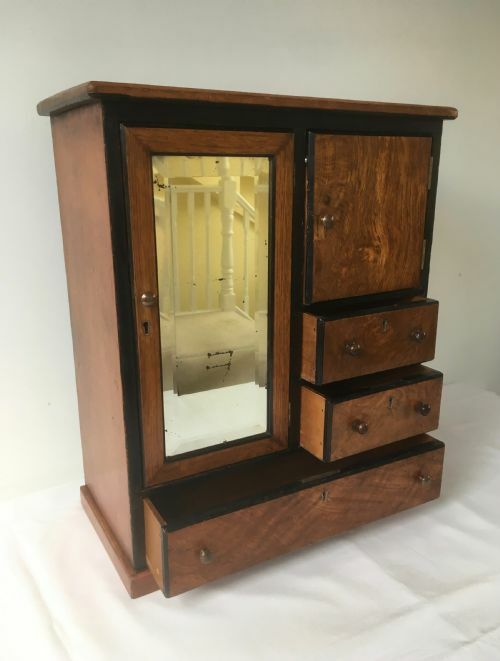 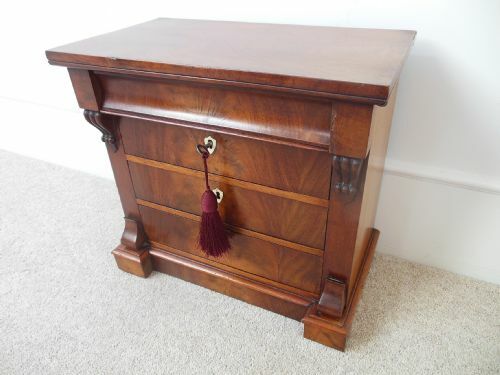 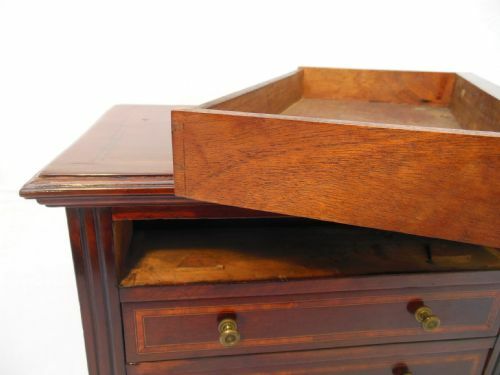 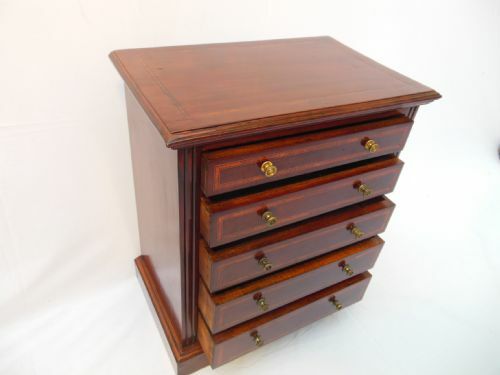 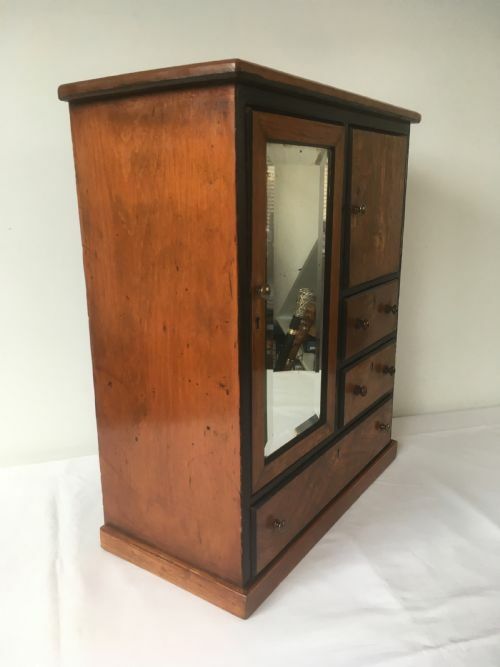 Made around the turn of the 20th century this inlaid mahogany 5 drawer "apprentice" chest or collectors cabinet, ideal for sitting on a side table or desk, raised on a plinth base with brass button handles fluted uprights and chamfered edges and graduated drawers. 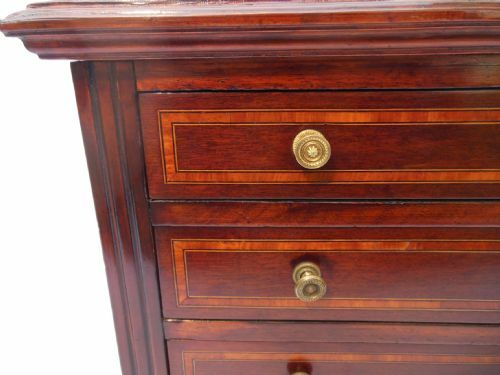 In very good condition having been recently repolished. 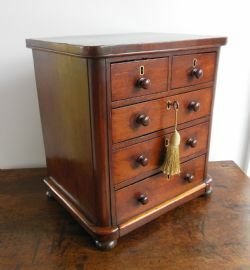 Beautifully made and in exceptional condition having been refreshed, repaired and waxed, this 19th century, possibly Georgian, miniature chest with two small and three long drawers, all with working locks could easily be used as a jewellery chest. 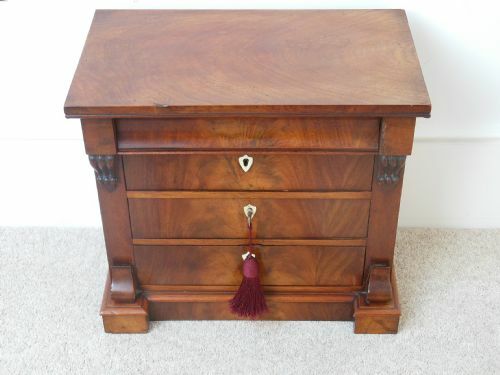 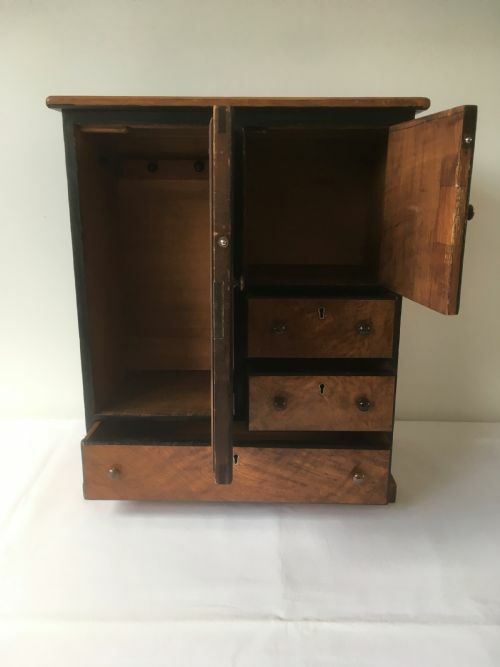 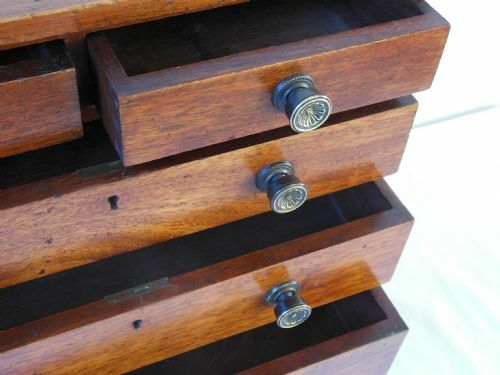 These chests are sometimes referred to as "apprentice pieces" or "a salesmans sample" but they are more likely to just be decorative for keepsakes or small treasures and jewellery. 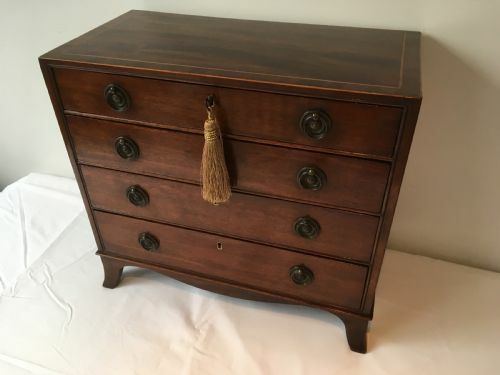 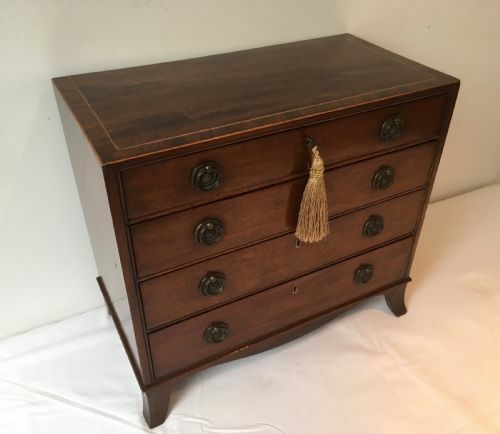 In well figured mahogany with a top convex drawer and three others with ivory/bone escutcheons and working locks, this very pretty miniature chest of drawers, made in the 19th century, is in excellent condition having just been refreshed and waxed. 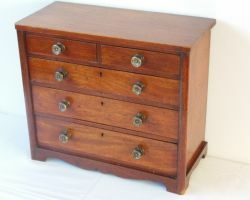 These chests are sometimes referred to as "apprentice pieces" or "a salesmans sample" but they are more likely to just be decorative for keepsakes or small treasures and jewellery. 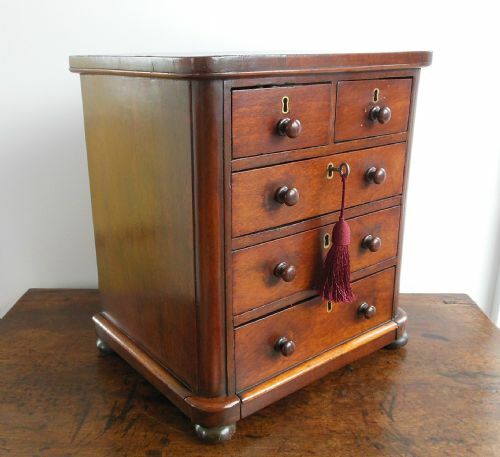 Two short drawers above three long with neat brass handles and column/pilaster corners, this very pretty miniature oak chest of drawers, made in the early 20th century, is in very good condition.